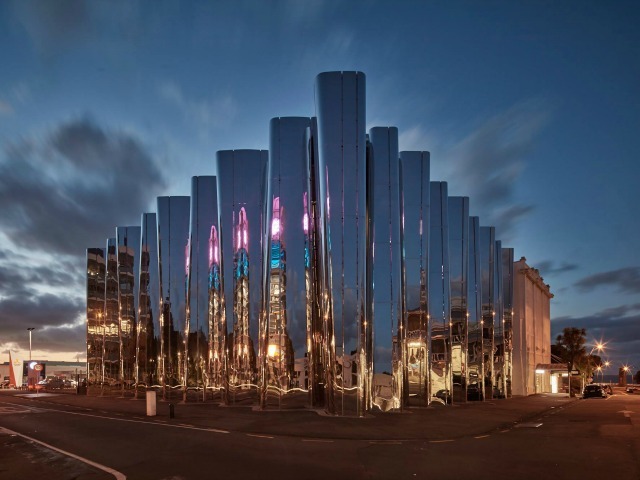 The Len Lye Centre is New Zealand’s first institution dedicated to a single artist. 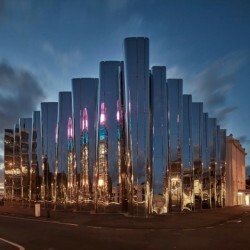 Filmmaker and kinetic sculptor, Len Lye died in 1980, much of his life’s work went to the Govett-Brester Art Gallery in New Plymouth which is situated adjacent to the Len Lye Centre. The Building was designed by Andrew Patterson and has won numerous awards for its design and engineering of its curved exterior wall of mirrorlike stainless steel. The exhibitions change three times a year and features regular tours, workshops and kids programmes.